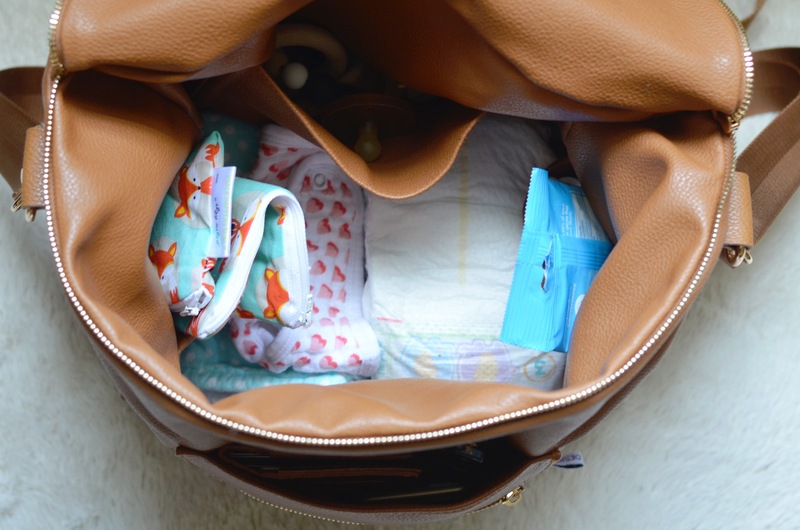 I was tagged in a “What’s In My Diaper Bag” post on Instagram and I thought it was the BEST idea, so I decided to do a whole blog post about it! This post contains affiliate links. This means if you make a purchase of some of the things I listed, I may receive a small commission. As always, my opinions are 100% mine. 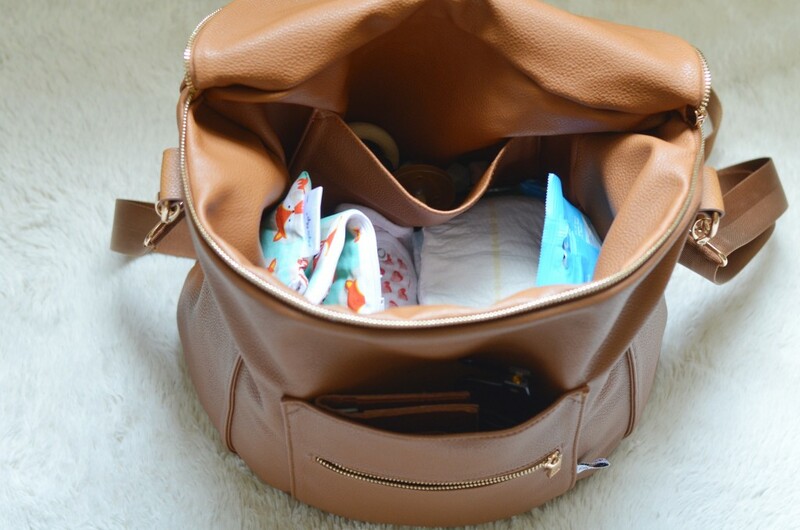 I have to start by gushing over my diaper bag itself. Tell me you have heard of Fawn Design. Their bags are everything. I have been lusting after them since I found out I was pregnant with Charlie. The first thing you will notice is that they are super chic. If I didn’t tell you it was a diaper bag, you probably wouldn’t know. They are soft leather and come in this cognac color, grey and black. They have a long strap for your shoulder AND straps to wear it as a backpack! YES! This is such a lifesaver for me. I am always dropping bags off my back. If you babywear (like me), it’s especially hard to keep a shoulder strap style bag on. The backpack feature is everything, y’all. The top is a zip flap, which is so convenient. 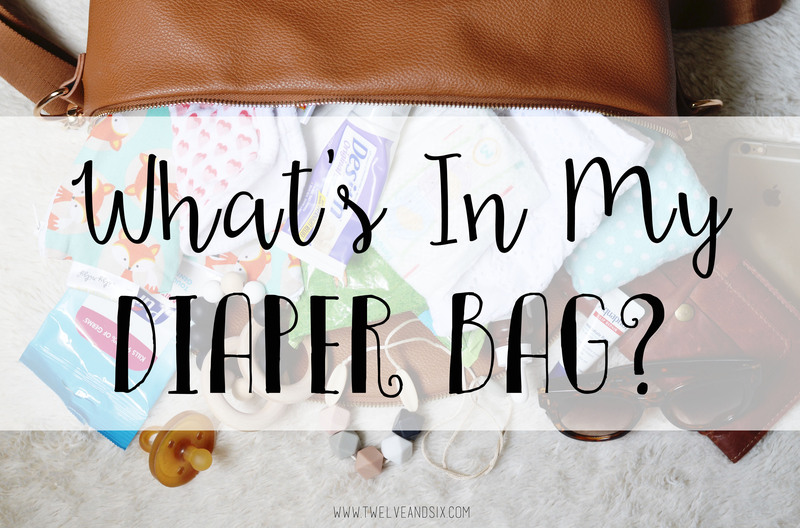 With other diaper bags I have had, it feels like I am digging in an envelope. 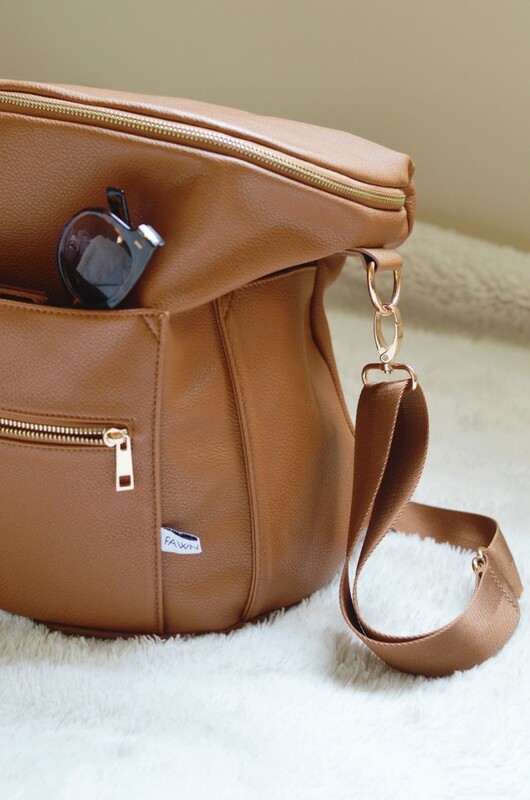 The Fawn Design bag is wide and sits up on it’s own. Just unzip the flap and it’s super easy to find things. Ok, so the BEST BEST BEST thing about this bag…is…. ALL. THE. POCKETS. There are a gazillion pockets in all the right places. I don’t know if you can see this very well, but there are three pockets on the inside, and four on the outside (one of which zips). I am so Type A and this makes it incredibly easy to find what you need. I carry my camera gear in here with me most of the time and my personal things, and it is perfect. 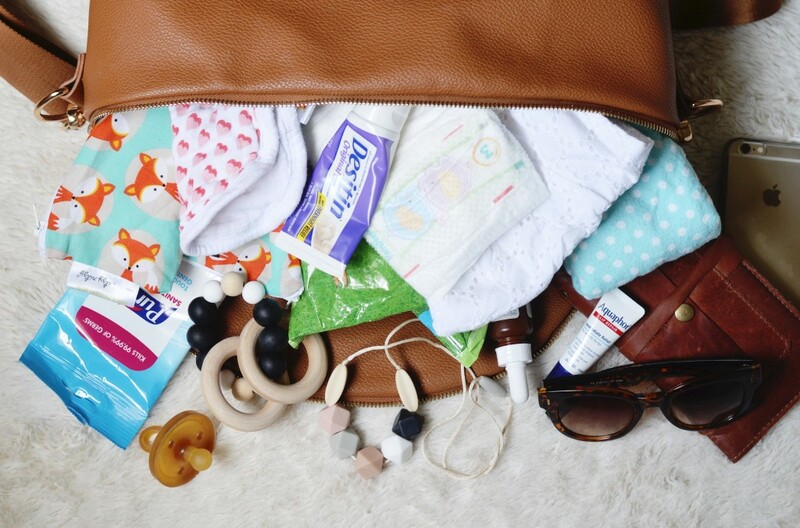 So, without further ado, the contents of my diaper bag. Note: I did not adjust anything for the post. I literally dumped out the bag and arranged it where you can see it. For further organization, these bags are the best. Give me all the muslin everything! I learned my lesson after a baby sunburn happened 20 minutes into an impromptu park trip. You might want more burp cloths in your bag, but Charlie wasn’t a big puker. I won this in a giveaway and it’s the best! Silicone and wood makes for something easy to grip, feels great on her gums, and it’s entertaining to her because of the way it’s made. I always have this in case we need to go somewhere and Charlie needs to sit in my lap and be occupied with something she can’t drop! I am going to have to bring this little guy back to the blog because it was literally my favorite find EVER. EVER. I don’t buy expensive sunglasses because kids. And baby brain. Ok! All done! What did I forget?! I think you are doing a disservice to little Charlie. If you can, please remove the large mark on her face and give her a chance to be the beautiful baby and person she is. 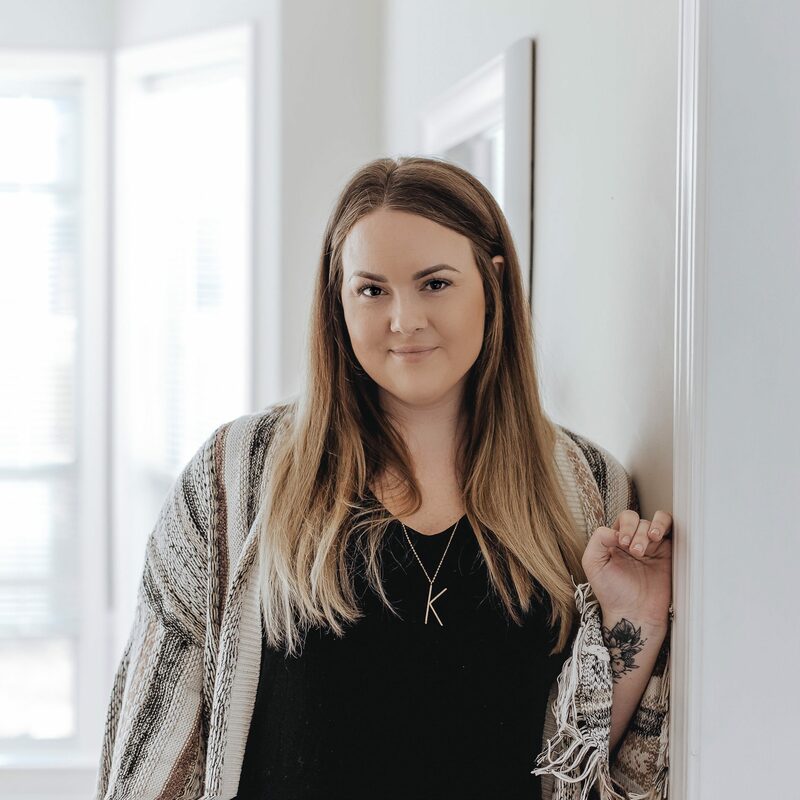 I don’t call you a good mama, I call you a mamma who chooses to close your eyes to what you could do to help Charlie live a great life and like herself and be confident in her looks. It is even distorting her face and you are not being fair to that little baby. Open your eyes and do what you know is right for Charlie. My eyes are open. 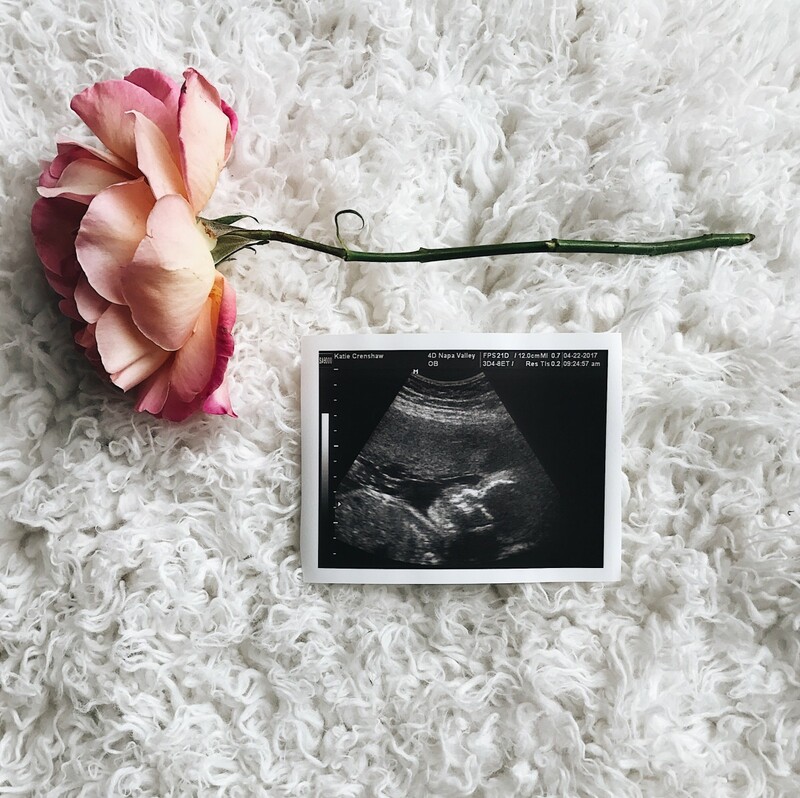 I am so happy to know my child will grow up with confidence and know that beauty doesn’t only lie in people with perfect faces. Hopefully when she encounters people like you, she will know that her mother taught her better. Have a great day and thanks for stopping by!